Topic: New Vorlon Player Seeking Advice? Are there any Vorlon vets out there who can give me a small amount of advice? New Vorlon Player Seeking Advice? I'm looking for suggestions on alternative fighter bases mainly because of two things: 1. I'm not that fond of the original bases and 2. I'd like to double my Vorlon fighter bases by dividing them in the squadrons of 3? Anyone got any suggestions on what I could use? Topic: Painting Vorlon & White Star Ships? Anyone got any pictures like the one above of the white star of a Vorlon ship? Although it was easy to learn the basics of the b5 rules there are still parts of the rules that i still don't know fully, but with the rulebook out of print I'm unable to get a hold of one so can someone tell me of a site where i could download a copy of the b5 rulebook? Painting Vorlon & White Star Ships? 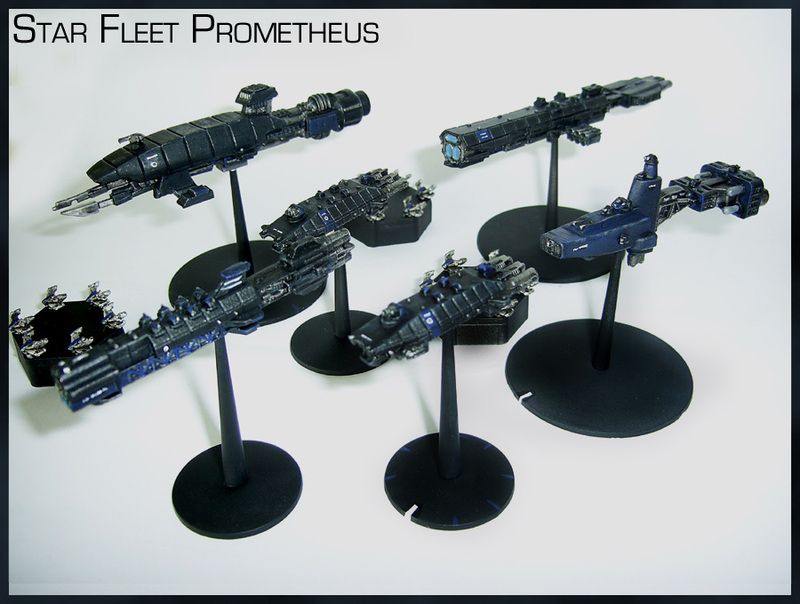 Heres some of my Crusade Era Fleet, too bad the photo doesn't do some of the ships justice. 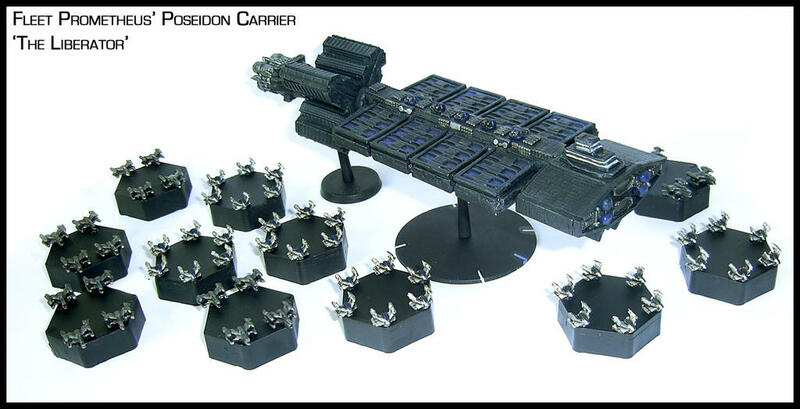 I'll upload a pic of my Poseidon Carrier as soon as it is built. Any chance this topic can be made a 'Sticky' cause I think it's nice to have a Babylon 5 gallery on the forum. I understand what you mean as I was asking the same question last week. Although they may be considered cheesy they have a big weakness that makes up for it which is their single arc of fire. Simple question how do you model your bases do you just paint them black or do you add a level of detail to them? Burger wrote: Truth points to itself. Thanks for the advice guys and that was an amusing line Burger, also those data sheets of yours are a live saver Burger as the B5 fleet book is out of stock at the moment it'd be troublesome to play the game without them. Are there any Vorlon players out there who can give me a bit of advice here? Topic: Miniature Carry Cases Best Suited For B5? Can I have some links to sites where i could get these cases please? Miniature Carry Cases Best Suited For B5? Topic: The Differences In The 3 Earth Alliance Fleets? Is there anyway I can counter this disadvantage in smaller games?